Advanced Form – Guided Actions. 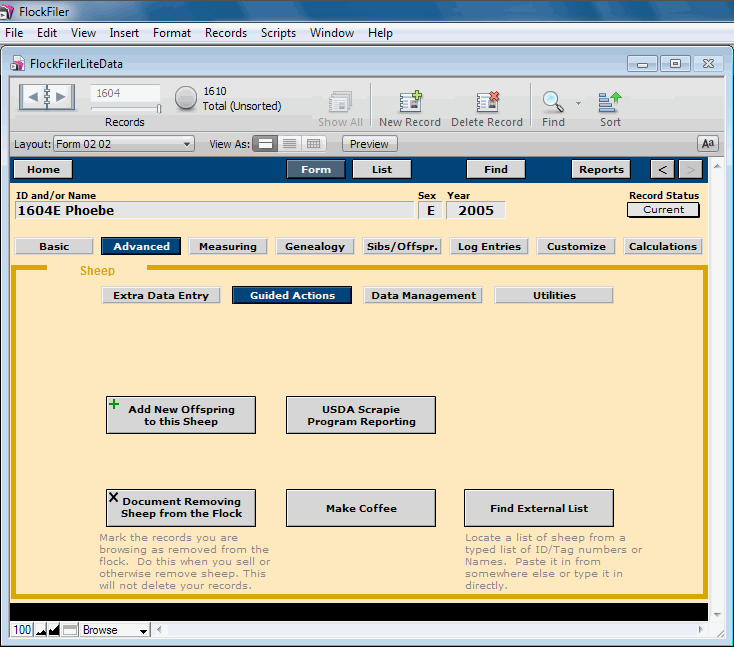 This screen provides an assortment of buttons to guide data entry for common activities. Some of these buttons also appear elsewhere in the appropriate context on other screens.